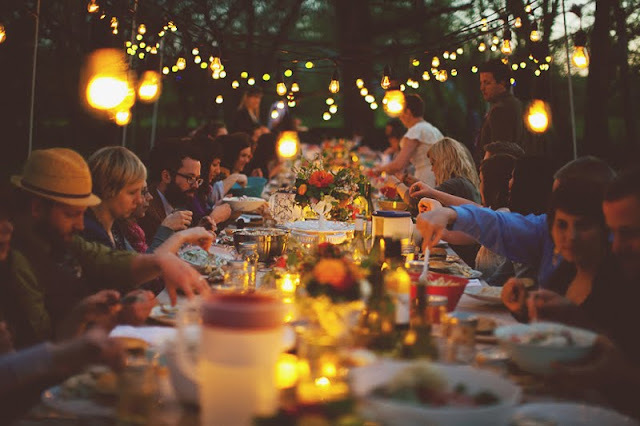 Having a garden party is a wonderful way to celebrate spring/summer and get everyone outside. 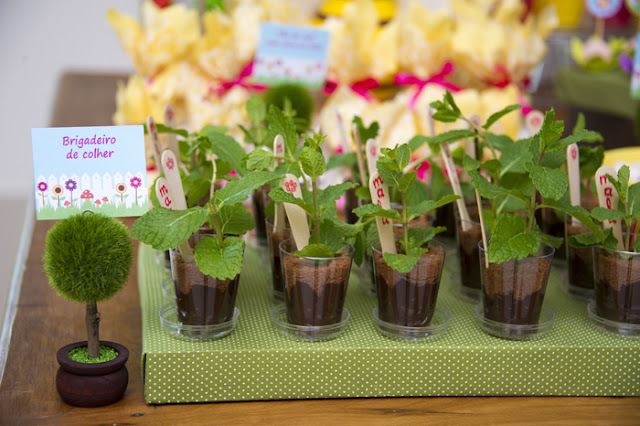 A garden party may seem like it has to be expensive but it doesn't have to be. 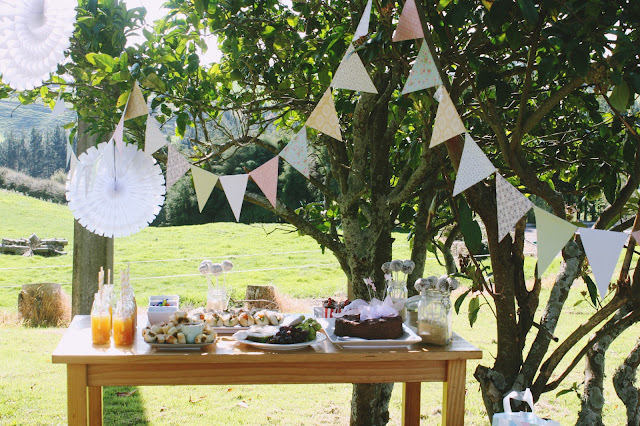 Garden parties are a great way to entertain friends and give you an excuse to dress up! 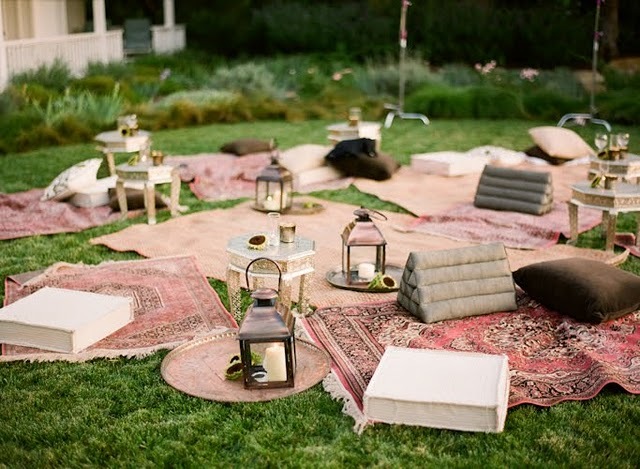 The garden party décor does not have to be elaborate. If you have the space decorate a small table with a tablecloth (or anything similar) place a vase of flowers in the middle or float some flowers in a bowl of water and voilà! Stack a thin slice of rare roast beef on top of a chunk of blue cheese and a grape. Spike it and eat it! Place the basil leaves, garlic, pine nuts, salt, olive oil, and Pecorino in a food processor or blender and process until smooth. If the pesto is too thick for your taste, add a little more olive oil. Cut the tops off the tomatoes. With a small spoon, scoop out the seeds and pulp, taking care not to puncture the skin. Fill the tomatoes with the pesto and serve at room temperature. Cześć jestem Magda, absolwentka Architektury Wnętrz, miłośniczka dobrego designu, architektury, mody, grafiki oraz kaligrafii. Design or Breakfast to moje miejsce w sieci gdzie opisuję piękne wnętrza, nowinki ze świata designu, pokazuję własne cztery kąty oraz autorskie projekty ' zrób to sam'. Od niedawna także właścicielka małej pracowni drewna Manufaktury Miło, w której projektuję oraz tworzę zabawki, dekoracje oraz meble. Template Created By : ThemeXpose . DESIGN OR BREAKFAST. All Rights Reserved.